The video is shot in the semi-abandoned spaces of the former Villaggio Morelli, which was built in the Twenties during Fascism, in Sondalo, Valtellina. 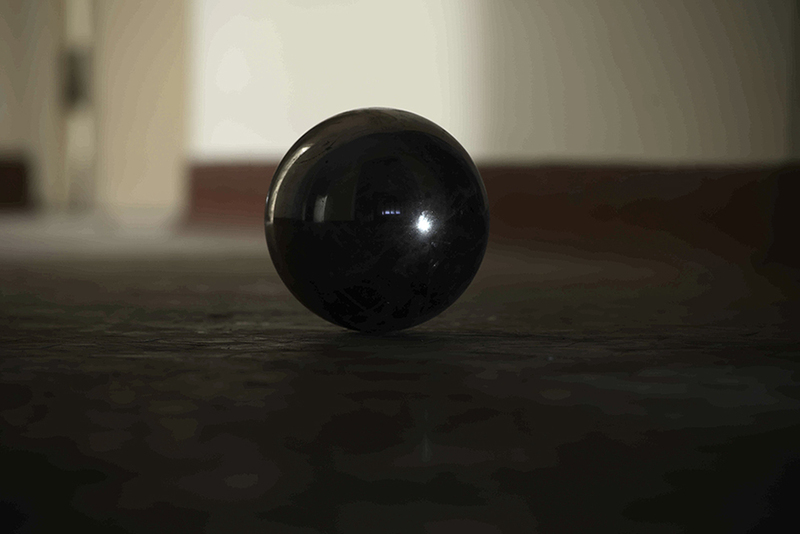 It is the biggest sanatorium for TBC in Europe and one of the most important examples of Rationalism in Italy.A semi-reflective steel ball, with its passage through the abandoned or converted corridors of the sanatorium, creates the ideal line of a crossing space.The passage of the ball is slow and conscious and brings back to a cyclical closed time. The noise it produces, firm and full, becomes the result of a verify and measurement of the space.